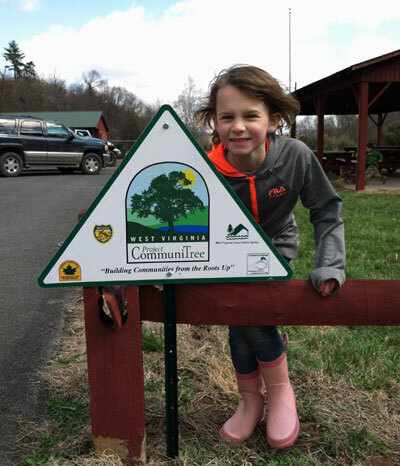 The Grant County Extension Service, in partnership with Grant County Parks and Recreation, planted a mix of 24 trees at Camp Echo outside of Petersburg, WV. 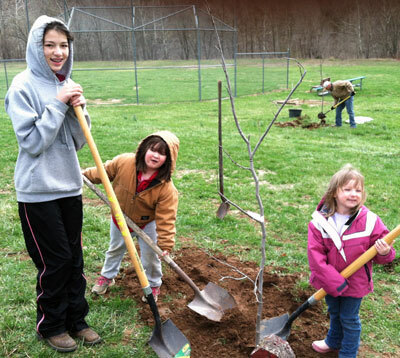 The tree planting was held on Saturday, April 5 beginning at 10 a.m. We were fortunate to have over 40 volunteers who were eager and ready to plant the trees. 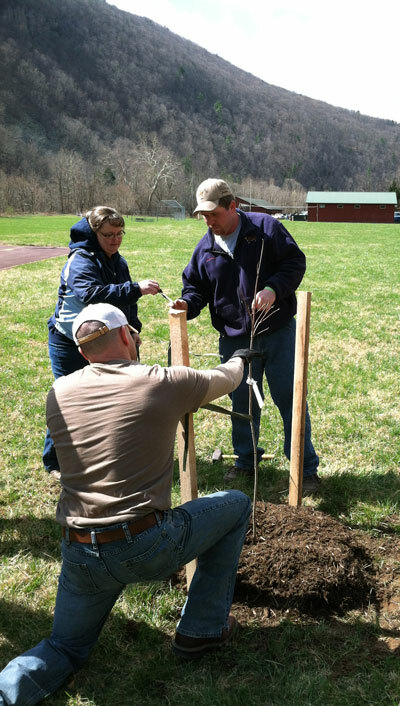 All of the volunteers jumped in to help plant the 24 trees around the park. 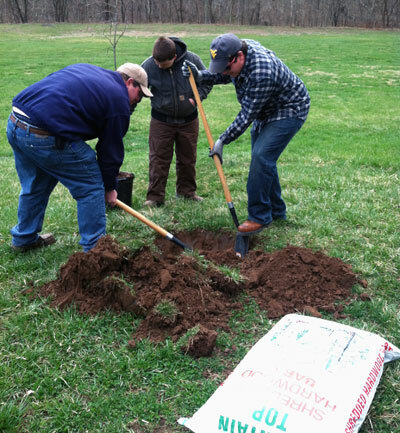 The weather was a bit cool and windy for tree planting, but our volunteers worked despite the cold. 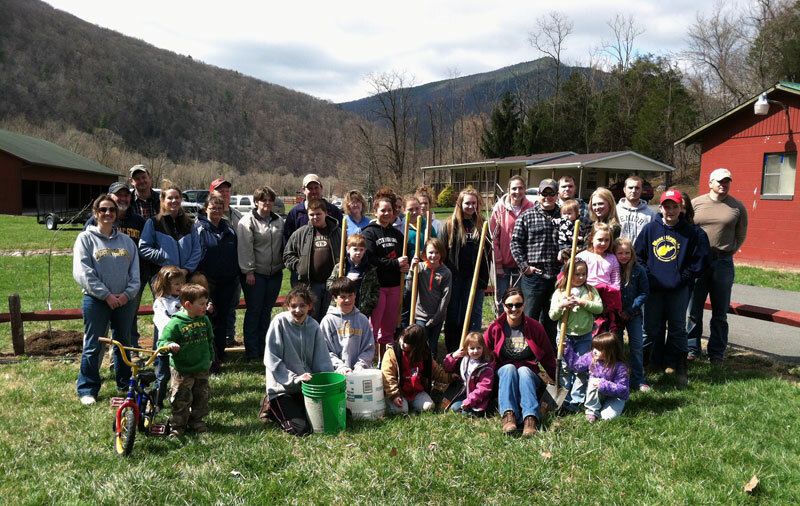 The volunteers enjoyed a lunch that was prepared and served by 4-H leaders before leaving for the day. Our entire lunch was donated by the 4-H clubs.